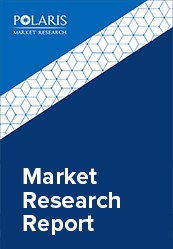 The Global Filters Market is projected to grow owning to the factors such as increasing demand for vehicles, stringent government regulation for controlling pollution, and increasing environmental concerns. Filters are devices used for the process of filtering solid particles from fluids or gases using different mediums. Filters are commonly used in industries such as oil and gas, water, food and beverages, pharmaceutical, and others. Filters include fluid filters, air filters, and ICE filters among others. The different types of fluid filters include oil filters, hydraulic filters, water filters, fuel filters, and air intake filters. Fluid filters find applications in vehicles, construction plant and equipment, power generation, industrial equipment, shipping, and military platforms and equipment. The growing demand of vehicles, and increasing awareness among consumers regarding environmental pollution has supported the growth of filters market. Stringent government regulations regarding vehicular emissions foster the market growth. Additionally, increasing demand from utilities and industrial sectors also augments market growth. There has been an increased demand of filters in emerging economies of Asia-Pacific owing to development of manufacturing and automotive sectors. Global players are expanding their business in this region to increase their customer base and improve the geographical outreach. The global filters market is segmented on the basis of type, end-user, and geography. Geographically, the global filters market is categorized into North America, Europe, Asia Pacific, Latin America, and Middle East & Africa. On the basis of geography, Asia-Pacific is expected to dominate the global filters market over forecast period. The increasing demand for vehicles in the region along with the growth in the automotive sector drives the growth of the filters market. The growing use of filters in industrial sector also accelerates the filters market growth. The increasing demand for filters from countries such as China, Japan, and India owing to urbanization and increasing industrialization would provide growth opportunities during the forecast period. The presence of large number of automotive manufacturers and manufacturers also augments the growth of filters in the region.